Mozy was born in 2005 and has since grown into the world's most trusted cloud backup service for consumers and businesses. More than 6 million individuals and 100,000 businesses back up more than 90 petabytes (one petabyte is a heck of a lot of data; 90 is a heck of a lot more) of information to Mozy data centers globally. 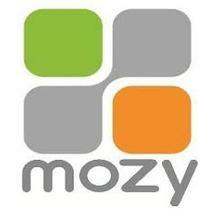 Mozy is part of EMC Corporation. We're headquartered in Seattle, Washington, and have offices in Pleasant Grove, Utah; London, England; Cork, Ireland; and Shanghai, China.